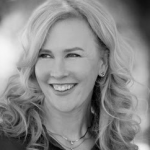 A social psychologist and marketer, Jennifer Aaker is the General Atlantic Professor of Marketing at Stanford University’s Graduate School of Business. Her research spans time, money and happiness. She focuses on questions such as: What actually makes people happy, as opposed to what they think makes them happy? How can small acts create infectious action, and how can such effects be fueled by social media? Author, speaker and Age Wave co-founder Maddy Dychtwald is a leading expert on the changing demographic trends—both generation- and gender-related—shaping the marketplace, the workplace and our lives. Maddy has spent more than 25 years investigating and forecasting lifestyle and market trends of older adults and the 79 million baby boomers. Building on this knowledge, she has recently emerged as a renowned authority on the rising economic influence of women and their impact on industries, ranging from financial services and healthcare to consumer marketing. 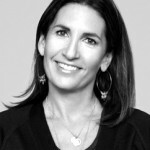 Bobbi Brown is a professional makeup artist and the founder and CCO of Bobbi Brown Cosmetics. Brown has written eight books about makeup and beauty. As a successful makeup artist with access to everything in the market, Bobbi found nearly all products looked too artificial, making it impossible to create a gorgeous, no-makeup look. Bobbi’s big breakthrough was her first American Vogue cover. The image was shot by famed photographer Patrick Demarchelier and featured the soon-to-be-supermodel Naomi Campbell, made up by Bobbi Brown. 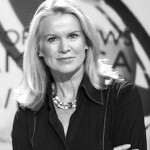 As lead anchor for BBC World News America broadcasts, Katty Kay covers the world’s biggest news stories for the network. Highly praised for her work, she gives an inside look at the events behind the headlines for American and global affairs – the challenges facing the Obama administration and Congress, U.S. elections, Wall Street, global economic news, world trouble spots and more. Melanie Notkin uncovered the growing demographics of childless women and given them a voice. To celebrate modern aunthood, in 2008, she founded SAVVY AUNTIE®, the multiplatform lifestyle brand for cool aunts, great aunts, godmothers and all women who love kids. In 2014, Notkin introduced Otherhood, the modern, growing demographic of women who, despite their deepest yearnings, remain single and childless as their fertile years wane.